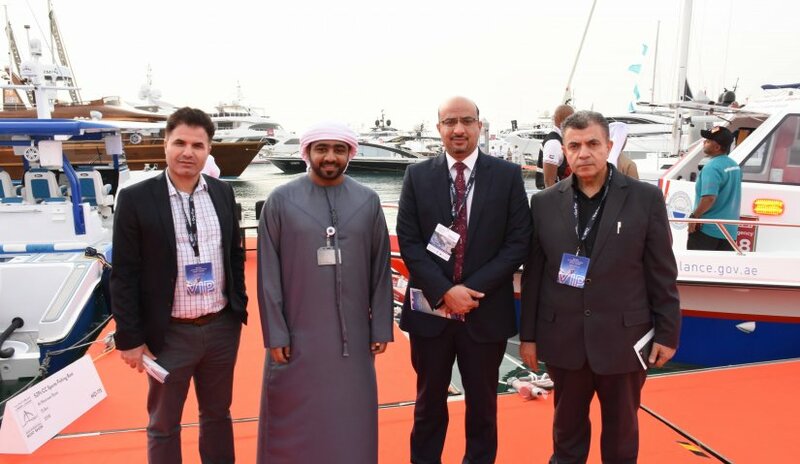 A delegation from Al Falah University visited the 27th edition of the Dubai International Boat Show at the Dubai Water Channel. Guests were treated to boats and yachts on displays from international and local brands and exhibitors. The boat show’s primary focus was sustainability. Gulf Craft, a yacht manufacturer in the country proudly showcased their solar-powered yacht to help minimize their carbon footprint. Guests of the exhibition lauded the participant's innovation with their sustainable products and services. AFU delegation included Dr. Ashraf Jahmani, Dr. Fathi Salameh from College of Business Administration, Dr. Robin Kabha from College of Mass Communication and a number of students.